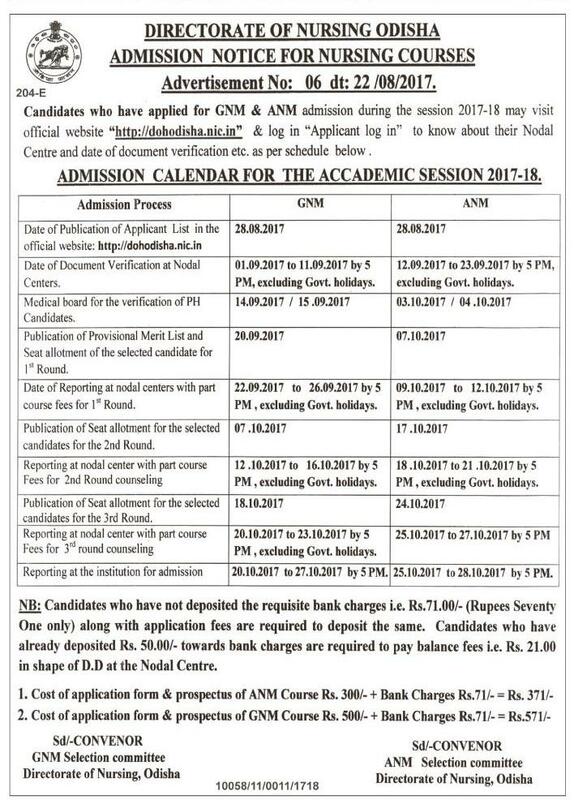 Directorate Of Nursing Odisha Published Admission Notification for GNM & ANM Admission During the Session 2017-18. Now Candidates Can Now Check their Nodal Centre and Date Of Document Verification Details. 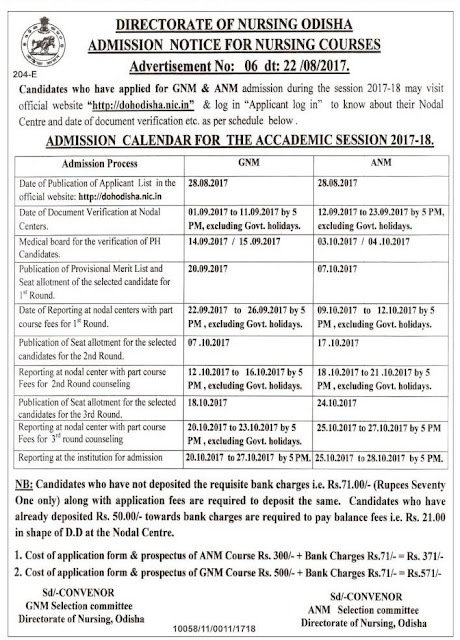 Date Of Document Verification at Nodal Centers - 01 to 09 Sept 2017 for GNM Candidates and 12-23 Sept For ANM Candidates. 1st Selection Merit List Will Publish On 20.09.2017 for GNM Candidates & 07.10.2017 for ANM Candidates.